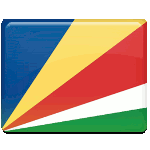 Seychelles gained independence from Britain in 1976 and became a republic within the Commonwealth. James Mancham became the first President of the republic, however, his presidency didn't last for a long time. He was overthrown by then Prime Minister France Albert René, who was supported by Tanzanian-trained revolutionaries supplied with weapons. René ruled the country under a dictatorial one party system till 1993. Then he was forced to introduce a multi-party system. His presidency continued till 2004, when he stepped the position in favor of his vice-president. Different activities and events are foreseen to celebrate Liberation Day. For instance, the wreaths are laid at Liberation Monument Zonm Lib. This monument symbolizes liberation of nation from the chains of colonial authorities.